The Answer Is Critical To Your Financial Health! It is important to anticipate whether Stagflation is stalking because the yield curve will start pricing it in which will place equity yields, earnings and PE growth multiples at risk. We believe there are clear signs of stagflation already occurring and according to the recent Global Fund Manger Survey, many believe if we don't already have elevated Inflation and an emerging period of stagflation, we can soon expect it! What is particularly critical to the equities market is how the yield curve will react differently regarding whether it anticipates increasing Inflation through Reflation or Stagflation. If it views reflation the yield curve will shift up but also steepen as long-term yields increase faster than short term yields. If it sees stagflation because the drivers for inflation also impede economic growth, then the yield curve also shifts upward but instead can be expected to flatten. The longer-term yields rise slower than the short term yields. In both case yields rise which places pressures on equities but the shape of the yield curve has the most profound impact on equity prices. In the last 5 years 71% of equity index increases are a result of P/E multiple expansion from 10X to 18X. This places PE multiple of the S&P 500 currently in the 90 percentile of historical valuations relative to the last 40 years. Anticipating what may occur is presently of the utmost importance to smart investors. The 10 Year US Treasury Yield lifted violently on the Trump victory and reflation policy expectations. After a brief consolidation it has again aggressively moved up but it is important to view this as part of three reasons bond yields increase - 1- Economic growth rate, 2- Inflation and 3-Creditworthiness. The current Treasury yield lift in my judgment is more about the pending congressional US debt ceiling hurdles and potential Creditworthiness factors than reflation or stagflation concerns. STAGFLATION: "Is persistent high inflation combined with high unemployment and stagnant demand in a country's economy"
Stagflation is very costly and difficult to eradicate once it starts, both in social terms and in budget deficits. It is a situation in which the inflation rate is high, the economic growth rate slows, and unemployment remains steadily high. It raises a dilemma for economic policy, since actions designed to lower inflation may exacerbate unemployment, and vice versa. Historically, inflation and recession were regarded as mutually exclusive, the relationship between the two being described by theÂ Phillips curve. First (Think: '70's) stagflation can result when the productive capacity of an economy is reduced by an unfavorable supply shock that causes an increase in the price of oil for an oil-importing country. Such an unfavorable supply shock tends to raise prices at the same time that it slows the economy by making production more costly and less profitable. Milton Friedman famously described this situation as "too much money chasing too few goods". Second (Think today), both stagnation and inflation can result from inappropriate macroeconomic policies. For example, central banks can cause inflation by allowing excessive growth of the money supply, and the government can cause stagnation by excessive regulation of goods markets and labor markets. Excessive growth of the money supply, taken to such an extreme that it must be reversed abruptly, can be a cause. Both types of explanations are offered in analyses of the global stagflation of the 1970s: it began with a huge rise in oil prices, but then continued as central banks used excessively stimulative monetary policy to counteract the resulting recession, causing a runaway price/wage spiral. Let's consider the four elements of stagflation, 1- Inflation, 2- Unemployment, 3- Demand and 4- GDP Growth to see whether this is a real possibility for the US. According to The Federal Reserve, entrusted with monitoring and managing Inflation pressures in the economy, until recently it is has been low and well below the Fed's 2% target. But the times they are a changing! Since this time last year inflation expectations have been increasing steadily and rose even more dramatically with the Trump Presidential victory. The Trump spike was a result of his proposed economic stimulus programs such as Infrastructure and Defense. However, it is isn't just expectations that have been increasing, but also actual price tags. Some price increases have been much higher than how such measures as the CPI tabulates inflation. From a long term historical perspective (if you believe government statistics) the inflation rate is still relatively low. However, taking out "special" government adjustments such as "Substitution", "Hedonics" and "Imputation" along with the other changes that have been made by the government since the early 80's, we see the real picture. ShadowStats.com which tracks inflation closely show that in fact if we consider inflation in terms of how the government calculated it in 1980 (before interest rates started falling abruptly) you find it approximates 10% per annum! I personally believe this much more closely matches what the average US household would suggest they are experiencing. CONCLUSION: We DEFINITELY have inflation and it is worse than the Federal Reserve acknowledges or is actually aware! According to the government narrative we have low unemployment with concerns about a tight labor market. This is pure fabrication or minimally misinformation and distortion of the facts. John Williams at ShadowStats again shows the reality. The ShadowStats Alternate Unemployment Rate for January 2017 is 22.9%. We presently have a labor force participation level at historically low levels with nearly 100 million working age adults not in the work force and many with jobs not able to to get sufficient hours to support a middle class life style. As Presidential candidate observed at a campaign rally in front of 30,000 people. "If the unemployment rate was really 5% do you think we would really have this many people here!" Do you believe government statistics or "your lying eyes"? CONCLUSION: We have high a very high unemployment and under-utilization of the American workforce. What we have in the US is "Artificial Demand" rather than "Stagnant Demand". The difference being that the former temporarily camouflages the later - but only temporarily as in reality we have "Stagnant Demand" being camouflaged by massive credit expansion and low finance rates. This only brings demand forward creating a demand void in the future. Consider that Consumer Credit is rising rapidly in comparison to Disposable Income. In other words we are borrowing increasingly to make ongoing purchases but those purchases are not increasing. Debt is surging to buy the same amount of stuff -- not more. In reality real economic demand is shrinking and is only presently artificially being supported. CONCLUSION: We have Weak Demand being supported by high levels of credit in relationship to disposable income. The common narrative is that the US is entering a golden age in its economy and that this growth will drive stocks ever higher. The reality is that GDP growth has collapsed. The third quarter of last year (3Q16) was the quarter everyone thought signaled a new beginning with growth of 3.5%. However, the very next quarter´s growth (4Q16) collapsed to 1.9%. Put simply, growth is NOT coming soon if at all. Even Trump´s top economic advisor has admitted that GDP growth of 3% is unlikely until the end of 2018. It is hard not to conclude that we are already living in a period of STAGFLATION which the markets have yet to fully recognize (may we suggest "Cognitive Dissonance"?). There is little way out other than praying for the Trumponomic Economic miracle that the markets are so clearly euphoric about! Of course I have never found prayer as a reliable approach to investment strategy! How Much Europe Can Europe Tolerate? CAMBRIDGE – This month the European Union will celebrate the 60th anniversary of its founding treaty, the Treaty of Rome, which established the European Economic Community. There certainly is much to celebrate. After centuries of war, upheaval, and mass killings, Europe is peaceful and democratic. The EU has brought 11 former Soviet-bloc countries into its fold, successfully guiding their post-communist transitions. And, in an age of inequality, EU member countries exhibit the lowest income gaps anywhere in the world. But these are past achievements. Today, the Union is mired in a deep existential crisis, and its future is very much in doubt. The symptoms are everywhere: Brexit, crushing levels of youth unemployment in Greece and Spain, debt and stagnation in Italy, the rise of populist movements, and a backlash against immigrants and the euro. They all point to the need for a major overhaul of Europe’s institutions. So a new white paper on the future of Europe by European Commission President Jean-Claude Juncker comes none too soon. Juncker sets out five possible paths: carrying on with the current agenda, focusing just on the single market, allowing some countries to move faster than others toward integration, narrowing down the agenda, and pushing ambitiously for uniform and more complete integration. It’s hard not to feel sympathy for Juncker. With Europe’s politicians preoccupied with their domestic battles and the EU institutions in Brussels a target for popular frustration, he could stick his neck out only so far. Still, his report is disappointing. It sidesteps the central challenge that the EU must confront and overcome. If European democracies are to regain their health, economic and political integration cannot remain out of sync. Either political integration catches up with economic integration, or economic integration needs to be scaled back. As long as this decision is evaded, the EU will remain dysfunctional. When confronted with this stark choice, member states are likely to end up in different positions along the continuum of economic-political integration. This implies that Europe must develop the flexibility and institutional arrangements to accommodate them. From the very beginning, Europe was built on a “functionalist” argument: political integration would follow economic integration. Juncker’s white paper opens appropriately with a 1950 quote from the European Economic Community founder (and French prime minister) Robert Schuman: “Europe will not be made all at once, or according to a single plan. It will be built through concrete achievements which first create a de facto solidarity.” Build the mechanisms of economic cooperation first, and this will prepare the ground for common political institutions. This approach worked fine at first. It enabled economic integration to remain one step ahead of political integration – but not too far ahead. Then, after the 1980s, the EU took a leap into the unknown. It adopted an ambitious single-market agenda that aimed to unify Europe’s economies, whittling away at national policies that hampered the free movement not just of goods, but also of services, people, and capital. The euro, which established a single currency among a subset of member states, was the logical extension of this agenda. This was hyper-globalization on a European scale. The new agenda was driven by a confluence of factors. Many economists and technocrats thought Europe’s governments had become too interventionist and that deep economic integration and a single currency would discipline the state. From this perspective, the imbalance between the economic and political legs of the integration process was a feature, not a bug. Many politicians, however, recognized that the imbalance was potentially problematic. But they assumed functionalism would eventually come to the rescue: the quasi-federal political institutions needed to underpin the single market would develop, given sufficient time. The leading European powers played their part. The French thought that shifting economic authority to bureaucrats in Brussels would enhance French national power and global prestige. The Germans, eager to gain France’s agreement to German reunification, went along. There was an alternative. Europe could have allowed a common social model to develop alongside economic integration. This would have required integrating not only markets but also social policies, labor-market institutions, and fiscal arrangements. The diversity of social models across Europe, and the difficulty of reaching agreement on common rules, would have acted as a natural brake on the pace and scope of integration. Far from being a disadvantage, this would have provided a useful corrective regarding the most desirable speed and extent of integration. The result might have been a smaller EU, more deeply integrated across the board, or an EU with as many members as today, but much less ambitious in its economic scope. Today it may be too late to attempt EU fiscal and political integration. Less than one in five Europeans favor shifting power away from the member nation-states. Optimists might say that this is due less to aversion to Brussels or Strasbourg per se than to the public’s association of “more Europe” with a technocratic focus on the single market and the absence of an appealing alternative model. Perhaps emerging new leaders and political formations will manage to sketch out such a model and generate excitement about a reformed European project. Pessimists, on the other hand, will hope that in the corridors of power in Berlin and Paris, in some deep, dark corner, economists and lawyers are secretly readying a plan B to deploy for the day when loosening the economic union can no longer be postponed. It does in fact exist, but not how you think. There is something ominous-sounding in the deep state. It implies that beneath constitutionally ordained systems and principles, there is a deeper and more potent power in control of the nation. It implies a unified force deeply embedded in the republic that has its own agenda and the means to undermine the decisions of elected presidents and members of Congress. Its power derives from control of the mechanisms of power and being invisible. The deep state is, in fact, a very real thing. It is, however, neither a secret nor nearly as glamorous as the concept might indicate. It has been in place since 1871 and continues to represent the real mechanism beneath the federal government, controlling and frequently reshaping elected officials’ policies. This entity is called the civil service, and it was created to limit the power of the president. Prior to 1871, the president could select federal employees. He naturally selected loyalists who would do his bidding. Occasionally, he also would hire people as a political favor to solidify his base. And on occasion, he or one of his staff would sell positions to those who wanted them for a host of reasons, frequently to make money from the positions they were given. Carl Schurz, a German-born Union Army general, proposed the idea of a nonpolitical civil service. It would be both a meritocracy and a technocracy – not his words, but his idea. Civil servants would be selected by competitive exams measuring their skills for the job. And the job of civil servants would be to implement laws passed by Congress in the manner the president wanted them enforced. Previously, all government employees – save those from the two other branches of government – served at the pleasure of the president. This was no longer true, and it meant that a civil servant could not be fired on political whim, but rather with cause, such as failing to do his job competently or refusing to obey instructions from the office of the president. The intent was to limit the president’s power because the expectation of presidential probity had proven problematic. But there was another reason. During and after the Civil War, government laws and policies had become far more complex with more long-lasting effects on society. A presidential term lasted four years; policies could last for generations. If administrators were replaced every time a president left office, as previously had been the case, there would be no continuity in government. New administrators would constantly have to learn the complexities of their jobs, and by the time they mastered it, they would have to leave. Government operations had outgrown a president’s term. But a deeper concept was at work here that went beyond the United States, originating in Europe. That idea mandated a separation between the political state and the administrative state. As the state acquired more responsibility and its tasks became more complex, government administration had to be taken away from the politicians, who were unskilled at the job. This was in many ways the origins of technocracy, a doctrine that stated that a government run by experts broadly guided by their political masters was the only way to correct a democratic republic’s shortcomings. Elected politicians provided direction, while technocrats provided expertise, advice and continuity. On the surface, this was reasonable. It anticipated the dramatic growth of the federal government and created a structure to cope with its complexity. While this evolution was not included in the Constitution, it was not unconstitutional because the president and Congress remained in charge. But like all things, it had unexpected consequences. By stripping the president of the right to fire those whose performance did not meet his standards, the solution posed a problem: If a civil servant could only be fired for cause and did not serve at the pleasure of the president, how could the president be certain that the policies being followed were legislated and ordered by him? As the government grew, the solution was to use a class of administrators appointed by the president. These were the Cabinet members, whose task it was to understand the president’s will and verify that civil servants were doing as they were told. In other words, a “super” civil service was created that served at the president’s pleasure and sought to control a civil service that could not easily be dismissed for insubordination without a breathtakingly complex process. This super civil service, known as C-List appointees, was answerable to the president. But because there were thousands of them, they rarely met with the president and took their marching orders via a chain of command. That chain of command began with the president and continued through the ranks of the Cabinet, C-List, and finally, civil servants. If you have ever played the game “Telephone,” you know how garbled messages can become. In addition, C-List members, who could and would be fired if an opposing party won the election, were constantly engaged in maneuvers to secure different jobs, promote reputations, and above all, avoid blame for failures and gain fame for successes. This was further compounded by the rise of independent agencies like the Federal Reserve, the CIA, and countless other autonomous and semi-autonomous agencies created to protect not only their permanent staff from political pressure but also the entire agency. The desire to limit political pressure – also known as the power of the president – was intellectually defensible, but in practice created a system that could not be readily controlled or even understood. Among the independent agencies, even decision-making was opaque. Between the entities reporting to the president, there was a layer of political appointees, which created turbulence between the president and the civil service. Civil servants do not stage coups – they become civil servants because the pay is reasonable, job security is high and benefits are excellent. Many could earn far more in other fields, but they rationally decide their preference. And many deeply believe in their mission. The CIA, which has its own civil service system, is not manned by massive risk-takers (apart from a handful who actually do take risks). Taking control of the government – beyond leaking a few documents – violates the basic principle of government service: bureaucratic caution. For the most part, government civil service personnel are cautious people who genuinely believe in their mission – continuing to do tomorrow what they did yesterday. Their form of resistance is built around passive resistance. Demands for change manifest not in an uprising, but in delay, complexity and confusión. The issue is not that there is a deep government, but that the deep government is no secret. It was created with the purpose of limiting presidential power, and in part, the will of the people. In separating politics from administration, the creation of the civil service weakened the political system and strengthened the administrative one. That is what was quite openly intended. There is a layer of employees in the turbulent boundary who have ambitions far beyond their jobs. This layer of employees, particularly those approaching retirement, also exists in the independent agencies. The former are bright young men and women who wreak havoc with ambition; the latter are men and women who have spent their careers struggling to do their jobs against a political system they regard as incapable of understanding what they do. This is natural given that they also have spent their careers making what they do mysterious and incomprehensible. As they age, they become more conservative (in the sense of preserving what is) and see themselves as the guardians of ancient verities. They frequently face a president who believes that the experts are the problem, not the solution. In many countries, this would involve tanks in the streets. In the United States, it means intense and creative name-calling, either directly or through leaks to The Washington Post (for the second rank) and The New York Times (for the top rank). I recall the rage in the Department of Labor at President Ronald Reagan for firing air traffic controllers. I noted the anger at President John F. Kennedy’s false news about a missile gap in the military-industrial complex and the schadenfreude at the Bay of Pigs. A serious issue arises when an elected president faces a revolt of those who putatively serve him. Whatever those people may think, they serve the president, who is elected according to the Constitution. The problem is that not serving at the will of the president and failing to respect election results – including leaking unverified claims about the president to the media – is inappropriate. Most presidents have been cowed by this, but Donald Trump gives as much nonsense as he gets. The point is that the idea that there is a deep state hidden from view that really controls things is absolutely true, except for the fact that it is not only visible to everyone who looks but is written into law. It exists not because of conspiracy, but because of the desire to shield government from politics. I understand the logic, but the result has unexpected and unpleasant consequences. A discussion of the deep state is possible only by really not understanding that the U.S. government functions as it does because the deep state was actually seen as a good idea. For someone not wishing to do research on this, there is a BBC comedy called “Yes Minister,” and its sequel, “Yes, Prime Minster,” about the battle between the elected British government and the permanent government of civil servants. It is hilarious, and if nothing else, will show you that the British are as insane as the Americans, but much more polite. Goldman Sachs’ analysis of professionally managed accounts shows an overreliance on U.S. stocks. Breaking up an investment portfolio into its constituent pieces can reveal hidden drivers of risk and overlooked opportunities. Our analysis of professionally managed investment portfolios shows that many investors are missing important potential sources of return as a result of putting too many of their “risk” eggs in one basket — U.S. equities. Many investors’ hopes today are pinned on the prospects of this single asset class whose elevated valuations today stand near the 90th historical percentile. The heavy reliance on U.S. equities we see in many clients’ portfolios today is risky and overlooks potentially attractive opportunities in areas such as emerging market equities (EME), emerging market debt (EMD) and small-cap equities in Japan, Europe, and other non-U.S.. developed countries. Many investors today have little or no exposure to these three areas. We have observed this tendency to crowd into a single, recently high-performing asset class in thousands of U.S. investment professionals’ portfolios — financial advisors at broker-dealers, registered investment advisers, private banks, and other financial intermediaries — through our proprietary portfolio analysis tool, GSAM PRISM™. In some respects, this tendency to crowd is understandable. The historically unusual run of strong U.S. large-cap equity outperformance in recent years has tested even the most resolute risk managers. The average client portfolio with a moderate-to-aggressive risk levels contains a 50% allocation to U.S. equities. That may sounds relatively low, but we would stress that risk allocation is not the same as asset allocation. A large allocation to a few asset classes can lead to extreme concentrations of portfolio risk. Just about all of the risk (99%) of a traditional “70/30” equity and fixed income portfolio historically has been driven by fluctuations in equity markets. Spreading a lopsided U.S. equity allocation across traditional Morningstar “style box” designations does not move the risk needle appreciably (the Morningstar style box separates “growth” versus “value” and small-cap stocks versus mid and large). Overindulging in one asset class naturally leaves less room to tap into other asset classes. The portfolios we examine typically have had small average allocations to the three diversifiers mentioned earlier — the average is 2.9% to emerging market equities, 1.5% to emerging market debt and 1.2% to international small-cap stocks. Each allocation is a fraction of what we would consider to be proper diversification. On average, portfolios with any emerging market equity exposure have returned 42 basis points more annually than portfolios without it (a basis point is 1/100th of a percentage point). The presence of international small-caps increased historical returns by an average of 24 basis points compared to portfolios without this asset class. Portfolios owning emerging market debt, too, possessed both higher average historical returns (by 26 basis points) and lower average volatility (by over 100 basis points). Portfolios with all three diversifying asset classes experienced higher annualized returns (6.8% compared to 6.1%), at the expense of marginally higher volatility — 10.8% annualized volatility for portfolios with all three asset classes, compared to 10.7% for those which excluded all three. These historical returns include the last few years of strong outperformance by U.S. equities, so we think the historical data by some measures may understate the potential benefits of diversifying across more asset classes. As of the end of the third quarter of 2016, investors have seen some reversion to higher relative performance across a range of diversifiers, such as high yield bonds and emerging market equity. We see behavioral reasons to diversify as well. Investors have a well-documented tendency to chase the performance of recent winners, even though history suggests they should not. No trend lasts forever. U.S. equities’ strong relative performance eventually will end. Staying diversified in our view means being better prepared. 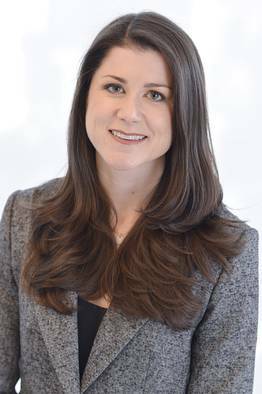 Heather Kennedy Miner is Global Head of Strategic Advisory Solutions at Goldman Sachs Asset Management (GSAM). 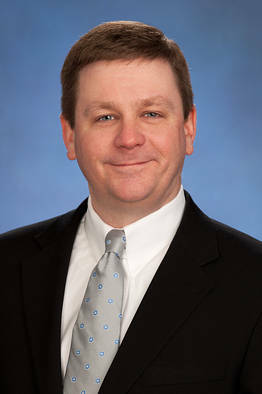 Theodore P. Enders is Head of Portfolio Strategy for the same team. For the latest GSAM insights on markets, portfolios and innovative business practices.